I recieved gifts from friend on today. 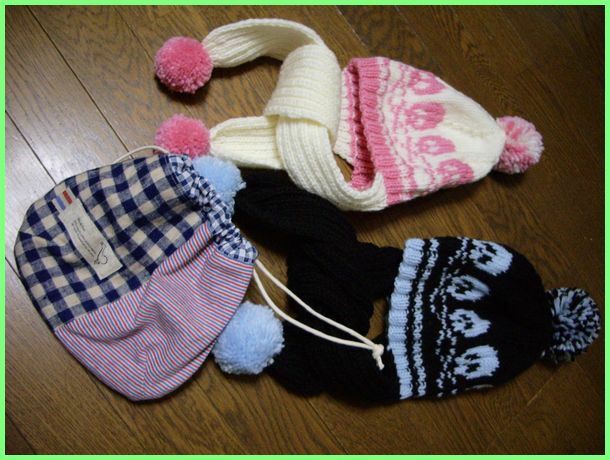 I saw this hat in her blog at the end of last year. It was a thing that she had made for her children. And, she said that she would make it for the Ami. I thought that I was a hat only of the Ami. However, it was making it for that Yuna’s cap when it reached and package was opened. She made were knit caps and mini-bag for me and my daughters!! 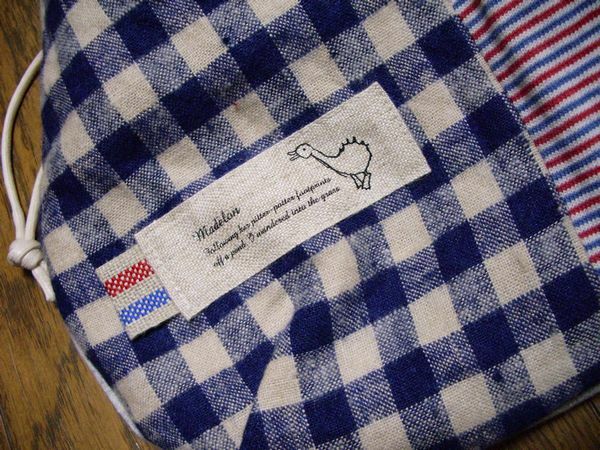 I think that she like sewing and nice work!! 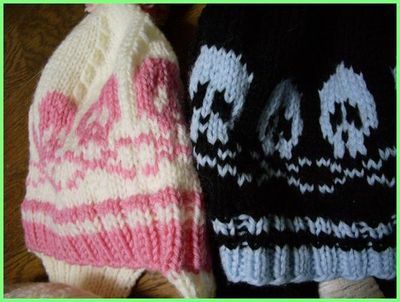 In Japan,be fashionable a skull mark at the girls. Ami likes it,too!So she pleased!!! Head top part is pretty,too! All fabrics are so cute!!! Two cloths are used in the bag. 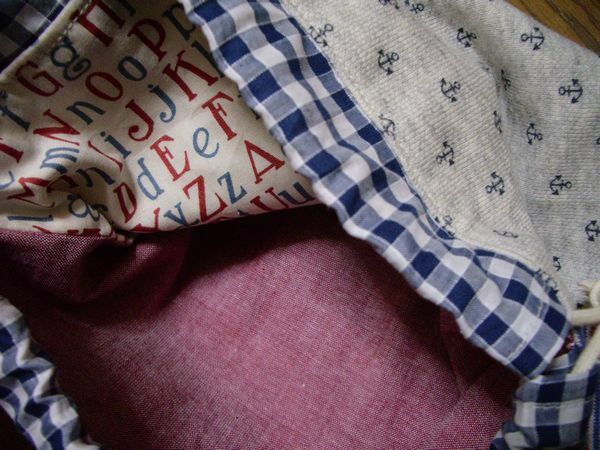 It is a bag that also a lot of sticking the cloth together and is absorbed. 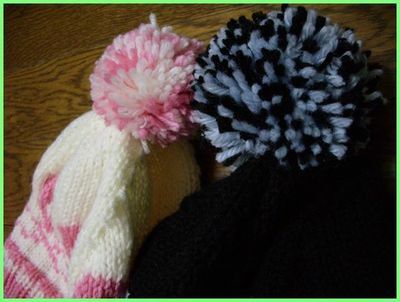 Immediately, they began to play sticking one’s cap on one’s head in the house.